Whilst retweeting is nothing new, Twitter recently added a new feature that allows you to add a comment on the content you are retweeting. If you have clicked the retweet icon at the bottom of a tweet lately, you may have noticed the new add a comment feature, if not, have a look for it next time you are sharing content. This is a great feature as it allows users to add their own views and message to content they want to share. Sharing the content of others, especially industry influencers should always be included as part of your social media strategy, as it provides a great way to get noticed, build relationships and grow following. With two types of retweets now available, which one should you use and what are the differences between the two? Let’s take a look. What is an Auto Retweet? An auto retweet is when you retweet content without adding a comment. There is nothing wrong with this method and it is still a valuable tool to get noticed by the users you are retweeting. 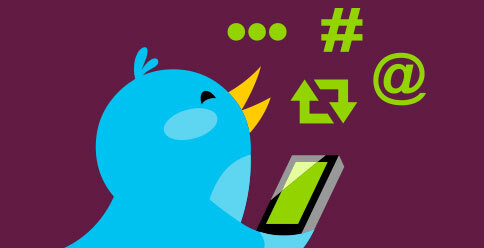 It is worth mentioning that using auto retweet only allows you to share a tweet once. What is a Retweet with Comment? This is when you add a comment to the content you are retweeting. Adopting this method allows your followers to gain a better understanding about why you retweeted the content. You can retweet with a comment as many times as you like and with various comments. Both auto retweets and retweets with a comment have their place and should be adopted. If you can add value or insight to a tweet then opt for adding a comment, if you’re not sure what to say then auto retweet. Test a few tweets and see what works with your audience and monitor how they perform.